UPVC doors offer a higher security improvement than any other door on offer, due to the doors being anti-crowbar this means that the door cannot be forced open, making it highly unlikely to have any intruders. The UPVC door is made of unplasticised poly vinyl chloride, making the door a lot stronger than a usual door. Differentiating from other doors, UPVC have high insulation fitted which will reduce the cold and damp getting into your house through the door. With a higher decrease of sound to be entered through the house from the outside due to the material and strength of the door itself. Like every door, UPVC doors can come in many shapes, sizes and colours which could also making them more attractive upon request. But within time, other doors will slightly shrink or bend form the type of door and material the door is, but UPVC doors are guaranteed to maintain their shapes and not be affected due to the weather. Making the UPVC Door appropriate for any weather. The doors can also have various toughened glass that will not shatter, also increasing how attractive and professional your door looks. Even with all the benefits that the UPVC Door comes with, these doors are still fairly good for money considering that they are long lasting. Along with being environmentally friendly as the materials do not affect the environment, these doors are energy and money saving due to the decrease in the use of the heating as the doors are great insulators.  At Crown Windows, you have a choice of all the styles and colours when choosing a door, all for low competitive prices. For a free visit for advice, call us on 01908 507778. Then if you carry it through, our team of professionals will fit your door professionally and as quickly as possible to the highest quality possible, which is a guarantee.